-100% Certified organic vine ripened tomatoes. Organic tomatoes (100%), [Crushed (50%), Juice, Paste]. 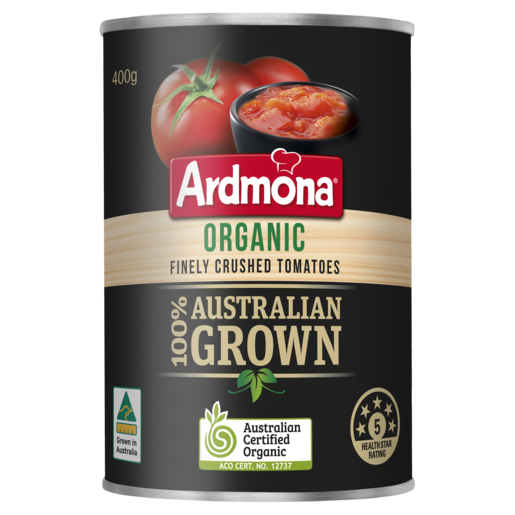 100% certified organic vine ripened tomatoes and 100% Australian grown.